The American Chemical Society (ACS) held a recent symposium on September 9th, 2013 in Indianapolis, “Polyphenolic Chemistry in Food Science: Flavor, Color, and Biofunctional Properties,” as part of its 246th National Meeting & Exposition. The European Journal of Clinical Nutrition lists the polyphenol and antioxidant content in the 100 richest foods. Cocoa Powder and Dark chocolate are listed in the top eight of these polyphenol superfoods. Even better, patented cold pressed healthy chocolate by XO healthy chocolate has not been heated or dutched like traditional chocolate retains more of the health benefits of antioxidants and polyphenol content as they posess flavonoid benefits. XO chocolate antioxidant and flavonoid amounts are verified by Brunswick Labs. Read more information here on polyphenols in wine and antioxidant benefits. 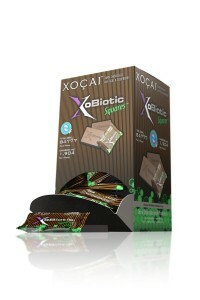 recommend the XO Xobiotic solid chocolate, a cold pressed healthy chocolate with probiotic. Available in 1/2 case or full case size, samples also available at lynette.chocolatedietsample.com. This is exciting news for anyone who wants to improve their health by eating right. My family eats XO Healthy Chocolate daily. I am Lynette Henk. 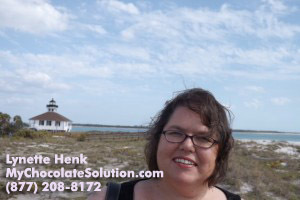 Feel free to csontact me at 941-216-5727, at [email protected] or at ColdPressedChocolate.com. PreviousHave You Considered Natural Solutions for Osteopenia and Osteoporosis? I Did! See My Results Below! NextTired Of The Corporate Grind? Create Your Flexible Work Environment Now. Punta Gorda Fitness Buffs Love Beyond Xe Healthy Energy Drinks. Try Beyond Xe!